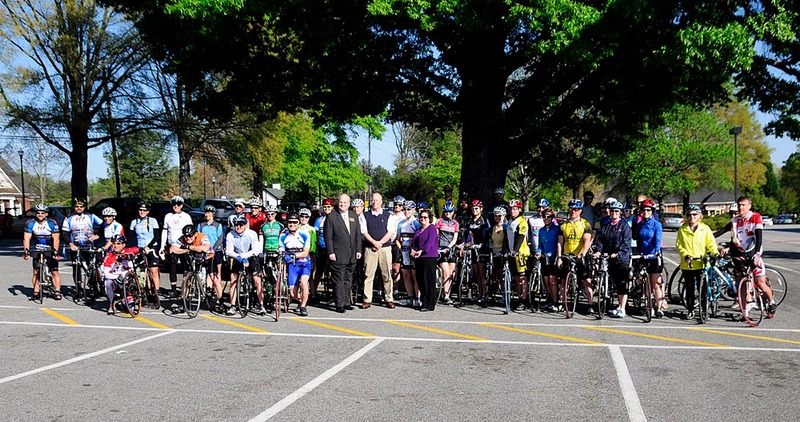 Don’t miss the 9th Annual Georgia Rides to the Capitol event. Show your state officials that you care about bicycling! The Dunwoody group will depart at 9:45 AM on a police-escorted route along Mt. Vernon Rd and will link up with Roswell riders on Roswell Road in Sandy Springs. We’ll travel at a leisurely 12 mile per hour pace, but more casual riders and families may want to join the five-mile group ride leaving from East Lake MARTA Rail Station in Decatur. There are many other starting times and locations throughout the metro area, see the event website for details. Return routes from the capitol will not be police-escorted. Join us at the 2014 Ride to the Capitol to demonstrate your support for safe, economically vibrant communities. Let's create a Georgia that provides residents and visitors alike great opportunities for enjoying the simple, healthy joy of riding a bike.